On the basis of samples and production aids, we carry out qualitative and quantitative assessments of the component cleanliness with in-house installations and provide detailed information on the contamination and cleanliness state of the components. We will gladly interpret the results on a scientific basis together with you and our specialists. Measures for optimized cleaning can thus be derived and the use of suitable limit values prepared. 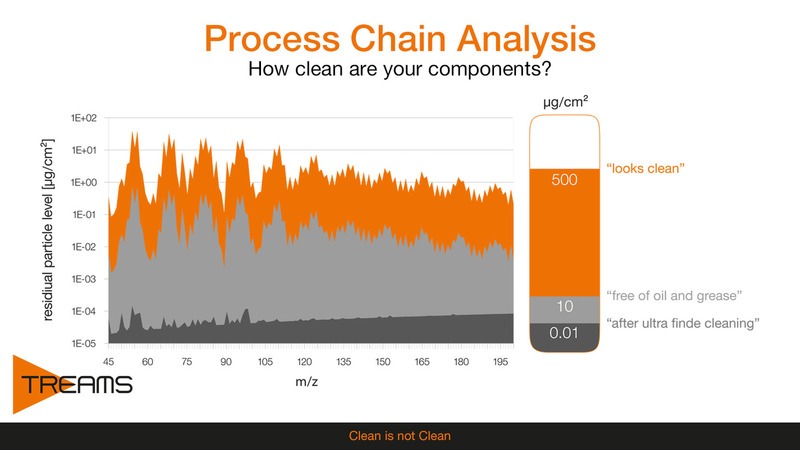 If you have any questions concerning our process chain analysis, please do not hesitate to contact us.